KnoStairs: Staircase resource and guidance site. Handrail – Natural height flow. Tread Designs – Feature . Drawing a handrail horizontal scroll. Quick on the draw – visual index. 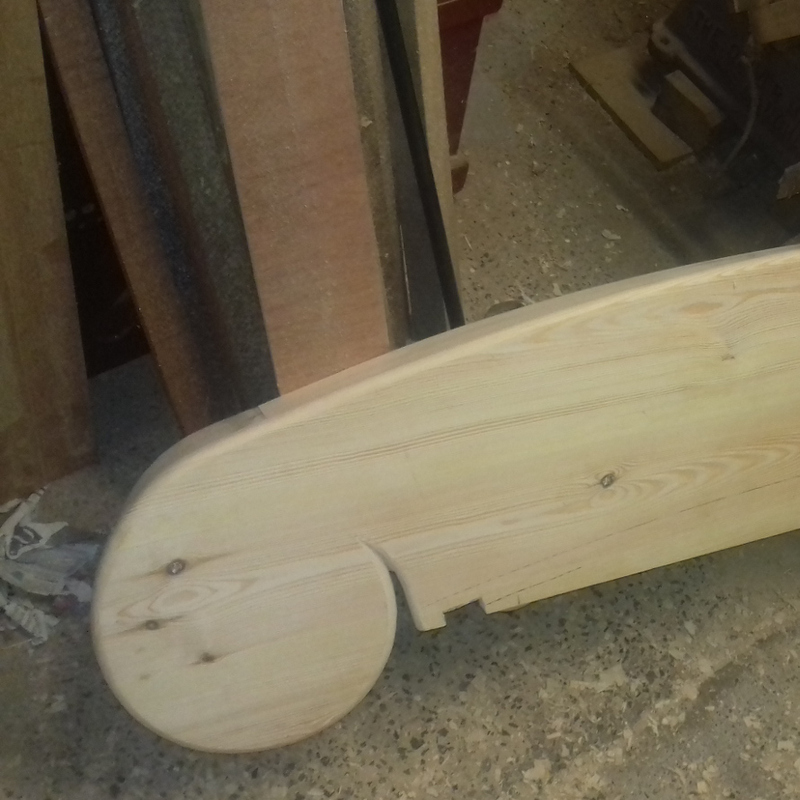 Monkey’s tails and treads, Introduction. 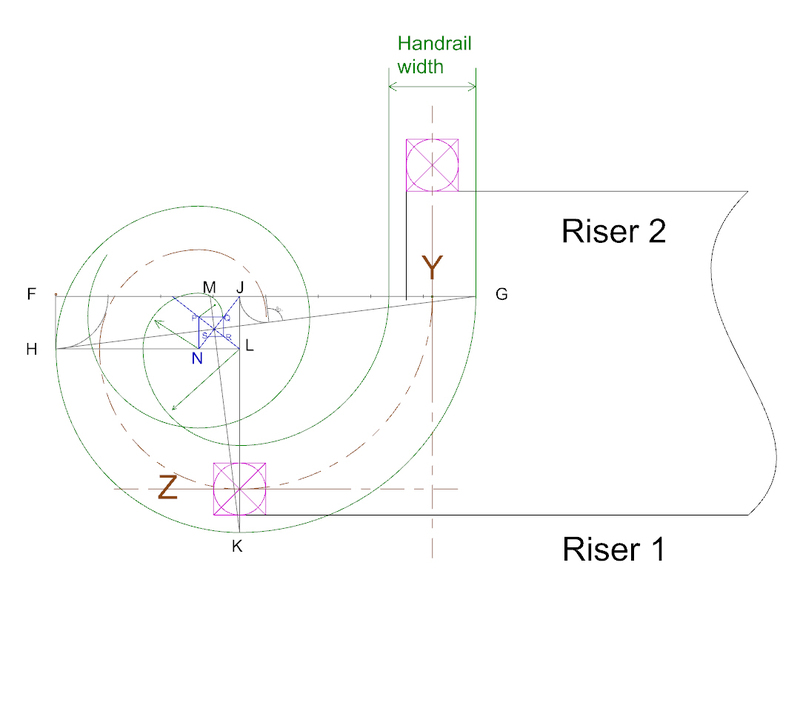 Handrail profile quick reference download sheet. Stair drawing – check list. To find out more. Choose your step. See some of our new pages. 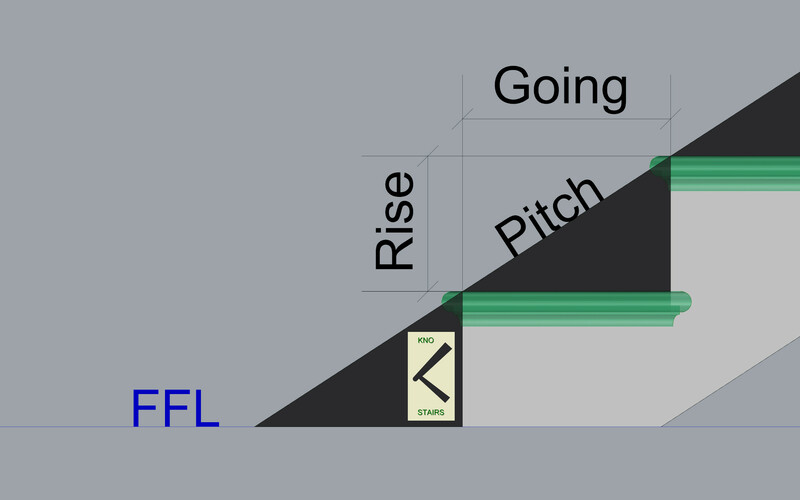 How to finish the stringer at landing level. different ways to carry the stringer into the landing area. 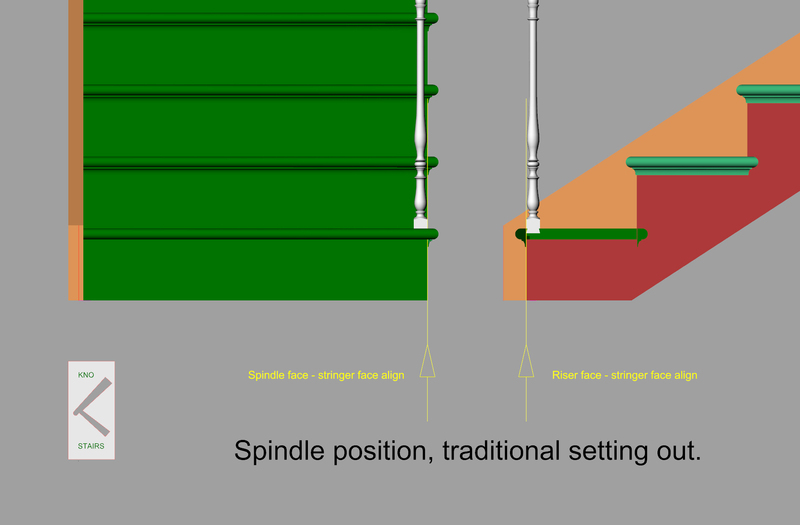 KnoStairs: Spindle positioning for cut string stairs. 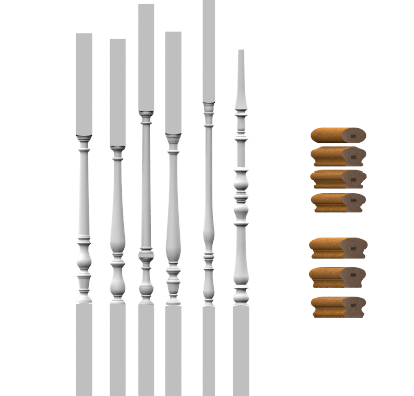 Determining the spindle position for different tread types on a cut string staircase. A guide to the traditional setting out. 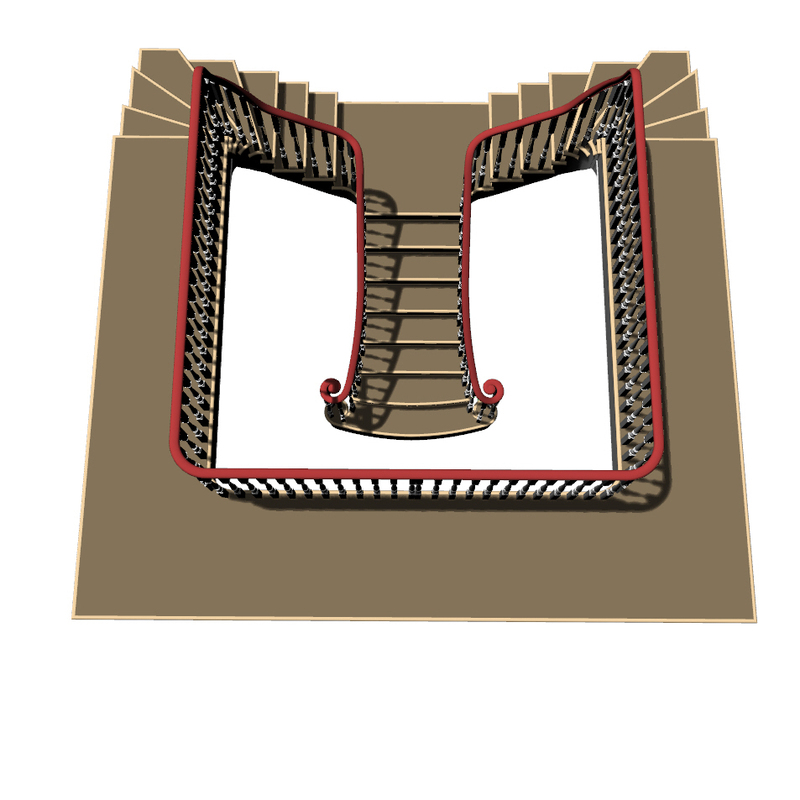 KnoStairs: learn how the basic stair parts work together. 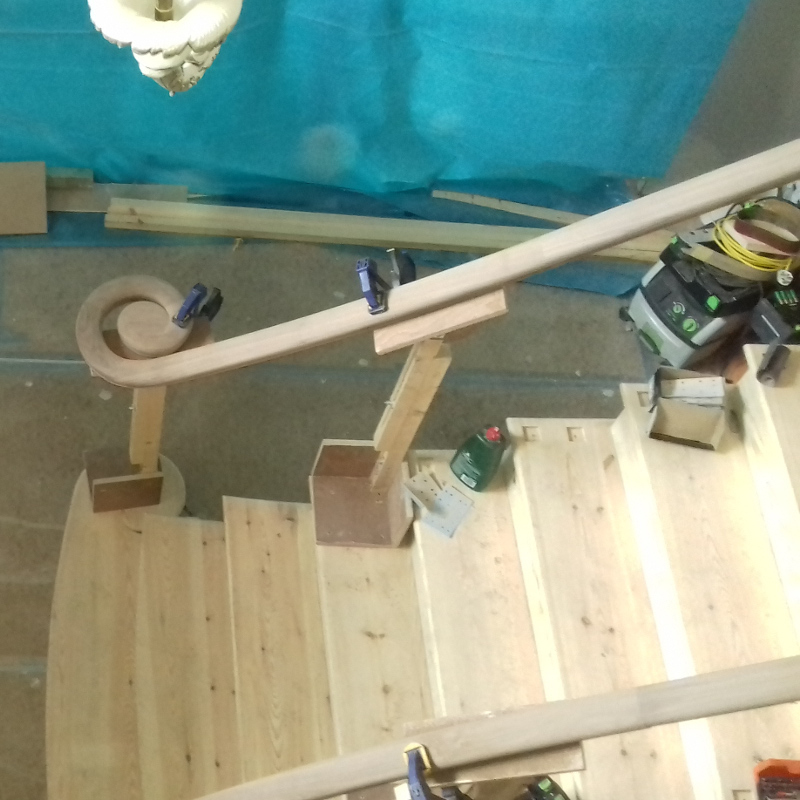 The staircase basics, showing how the rise, going, pitch line and nosings are calculated and work together for both modern and heritage designed stairs. 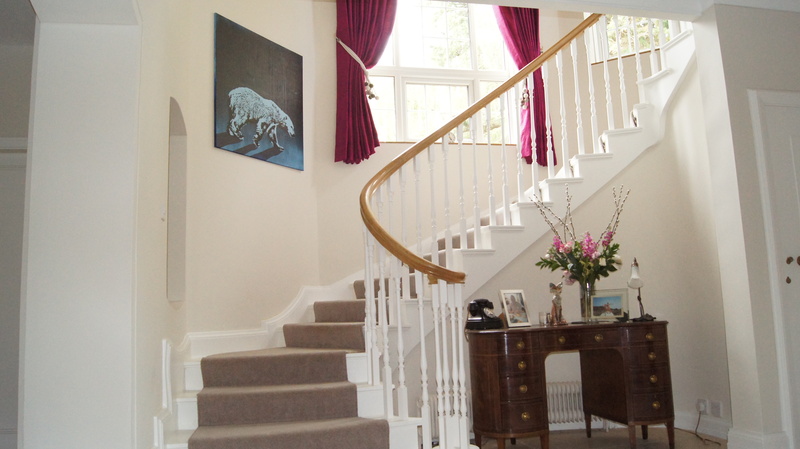 A Hands on guide, by time served handrailers and staircase builders. Welcome to knostairs, handrail resource and guidance site. 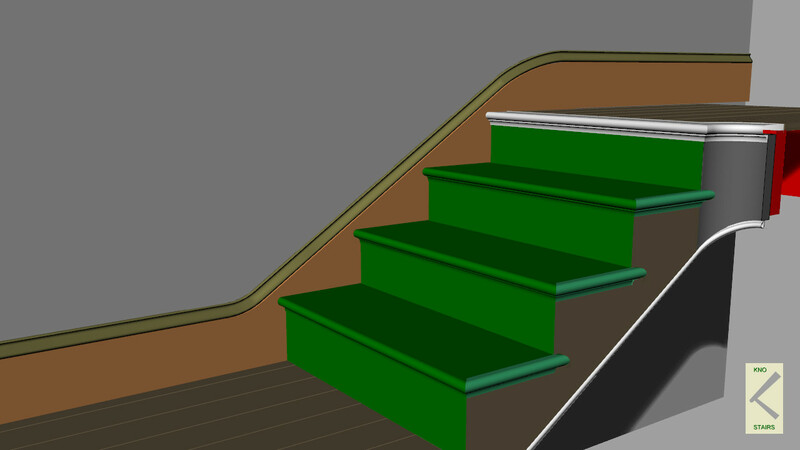 Traditional straight and geometric staircase design techniques. As this site is for reference and research there may be large images and files that will slow down page loading times, this will however allow you to see the images at a good size. FOUNDER MEMBERSHIP: As an introductory offer we have a founders membership. The sign up period for this is limited, This is a set fee and will not change during the lifetime of continuing membership. KnoStairs. Stair & Handrail design Guides. © 2017 - 2019 KnoStairs. All Rights Reserved.